Text by Margaret Iversen. 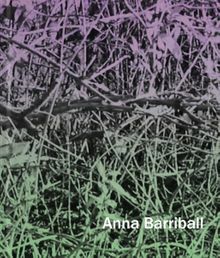 Contributions by Anna Barriball, Felicity Lunn. The drawings, sculptures and videos of British artist Anna Barriball (born 1972) transform everyday textures such as architectural elements (doors, walls, windows) and her own body. This book surveys works made since 2006. Hardcover, 10.25 x 12 in. / 154 pgs / 86 color.